Minimal, slender and attractive; the Toscana Small Teak Folding Table is a grand choice for a smaller space! 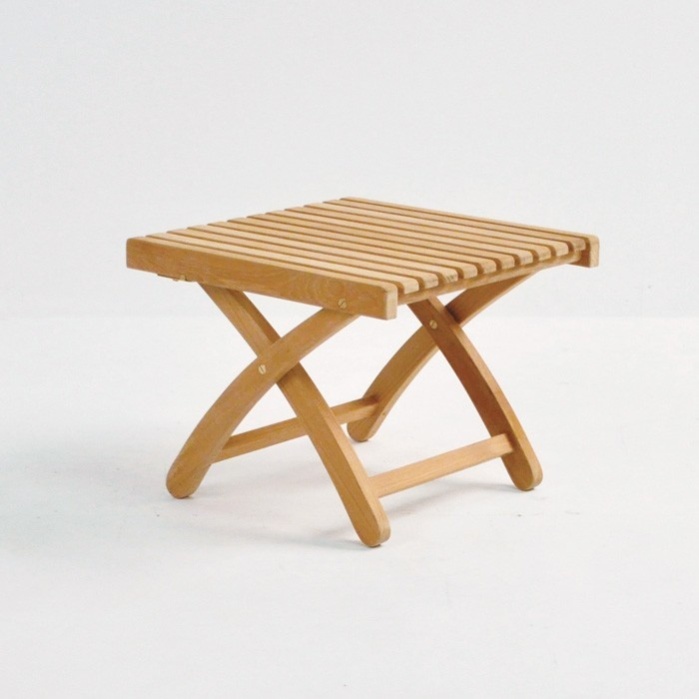 Part of our divine Toscana Collection; the Toscana Small Teak Folding Table features a simple design, slatted tabletop and easy folding design, the Toscana Small Teak Folding Table is perfect for on-the-go picnicking or storage. A convenient 19 by 19 inch tabletop is met with adjustable heights, so you have options for dining! 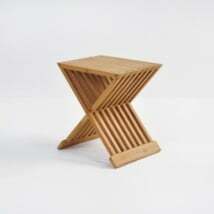 W19" x L19" x H17"
Constructed out of superb A-Grade Teak, the Toscana Small Teak Folding Table is strong and durable. A-Grade Teak has been a constant at Teak Warehouse since we opened our doors over 20 years ago. 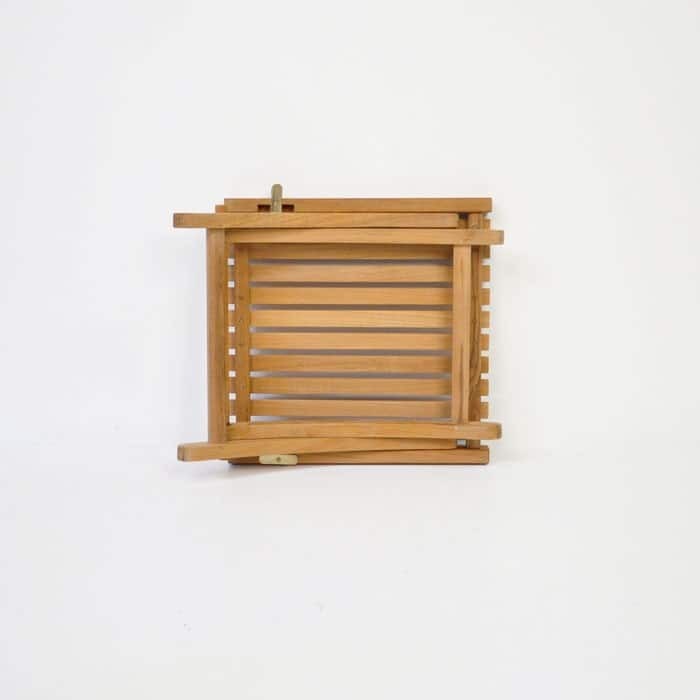 A wood that proves time and time again that it is the perfect material for outdoor furniture! The Grade A is given when its is the premium part of the timber, with all the best qualities, a small percentage of teak furniture uses this premium heartwood-Teak Warehouse uses it exclusively for new Teak Furniture (we also offer premium reclaimed teak that is not classified as A-Grade). We use timber that is harvested when the wood reaches a ripe age (usually after 40 years of growth) giving it time to have generated a natural supply of rubber and oil, obviously giving it the strength it needs to battle the elements. You will see A-Grade Teak throughout every facet of our business; from sun loungers to deep seating, dining tables and chairs to bar furniture, cushion boxes to planters. We know it is the best because our customers keep telling us! At Teak Warehouse, we know a lot about outdoor furniture, so as well as A-Grade Teak, we now have a great mix of All Weather Wickers, Raw Concrete, different mesh fabrics, Aluminium, #316 Marine Grade Stainless Steel, Reclaimed Teak and Resin. We encourage you to contact us if you have questions, would like some more ideas or just need help configuring the best use of your space. 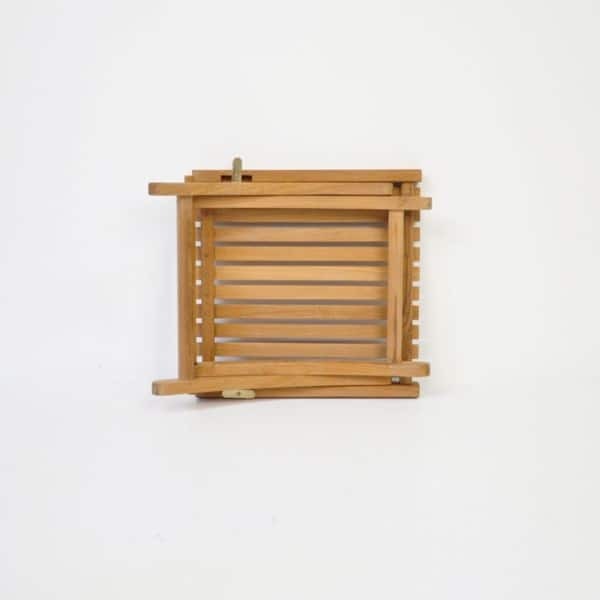 The Toscana Small Teak Folding Table is small enough to fit anywhere! Pair it up with a couple of low Relaxing Chairs in a wicker and aluminium mix for a look that is reminiscent of mid century patio style. 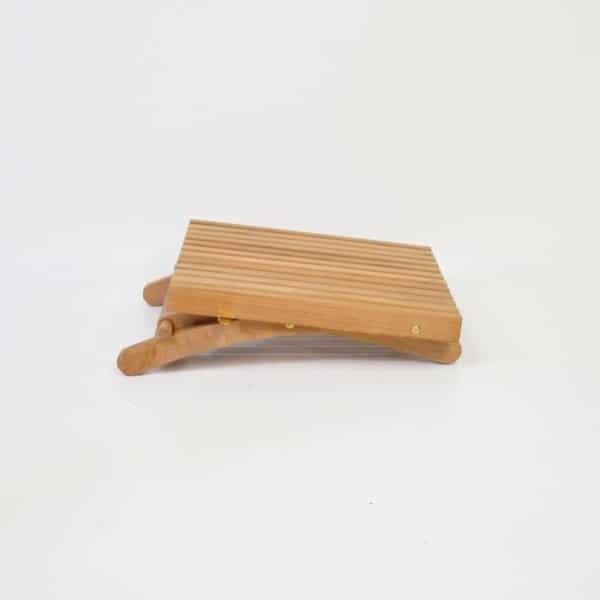 We love the Toscana Small Teak Folding Table as handy piece to keep in the trunk of your car with a couple of folding folding teak side chairs, resulting in an easy to manage classic set, perfect for impromptu picnics or trips to the beach. 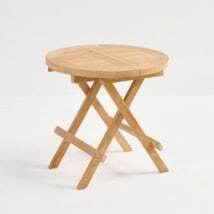 Our clients have also purchased the Toscana Small Teak Folding Table for use in a sun or TV room – an excellent side table for cups of tea in the sun or as a handy remote table. 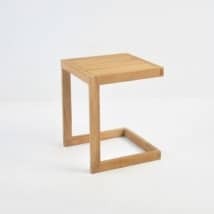 Teak Warehouse carries a range of small folding side tables, round and square and in different sizes. Pick the one that best suits your space and needs. The Toscana range also includes benches, bar units, bar and counterheight chairs – enabling you to create a satisfying and pulled together look for your home. 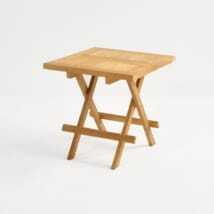 The Toscana Small Teak Folding Table is beautifully constructed and ready to become a staple piece in your home. Enjoy the versatility of this charming piece from the Toscana Collection.